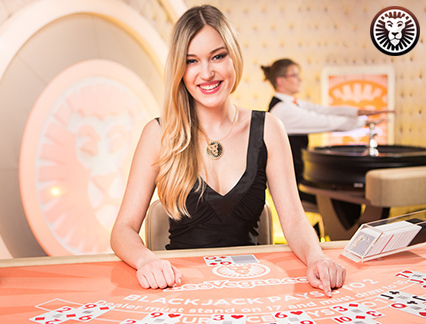 If you’re looking to experience a completely immersive game of blackjack online, then you’ll be happy to know that the live casino is the perfect place for you! Whether you’re a pro player, or you’re still learning the ins and outs of 21, you’re going to find something for you. 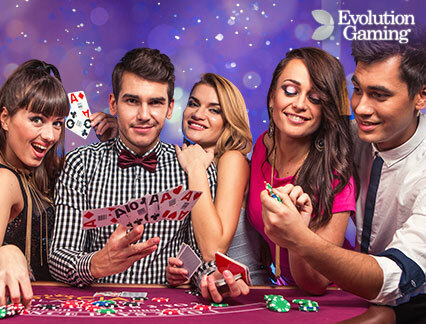 Top titles from Evolution Gaming, Authentic Gaming and much more transport you to exclusive studios in a single tap. From suave VIP tables where you can rub elbows with the high-rollers, to themed tables, our professional live dealers will make sure that you’re always having a good time. 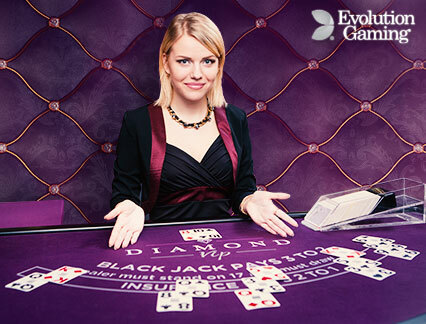 From first base to final card, find out for yourself why live blackjack is best at LeoVegas! 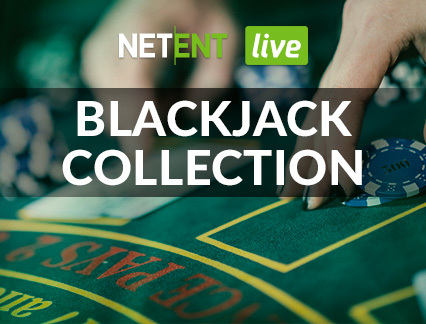 Playing blackjack online is great, especially when it’s with a live dealer. But what happens when you need to leave your laptop? Is that it? Game over? Well, no actually because you can also play live blackjack online on mobile. What’s more, you will find amazing crystal-clear HD streams and easy-to-use in-game features, such as the ability to save your favourites and access your last played games. 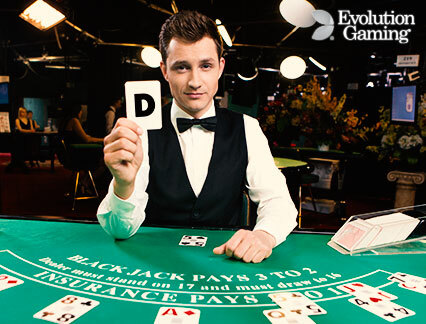 Talk about adding a personal touch to your live blackjack entertainment. This is a place for card games that go anywhere you like! Proudly recognised as ‘Mobile Casino Product’ at the EGR Operator Awards 2017 and 'Mobile Operator of the Year' at the International Gaming Awards 2019, you can expect only the best at LeoVegas. So, settle in, download the LeoVegas App, choose your chips and experience the best of blackjack online! When you join the pride at LeoVegas, you can enjoy the royal treatment. 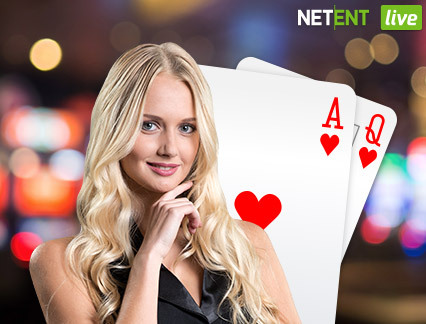 This comes in the form of a wonderful bonus that you can use to play blackjack online. 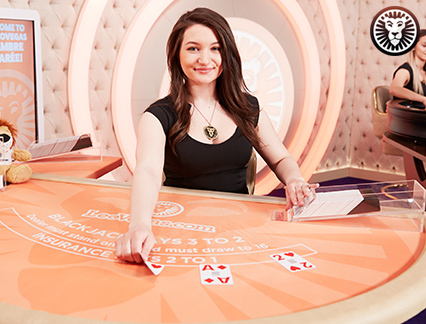 Flick open the felt and find fantastic bonuses to use on our variety of twenty-one tables. Whether you pick up single or multiple hands, promotions including leaderboards and tech prizes make playing live blackjack more pleasurable. Make sure you opt-in for promotions when you’re signing up too! Disclaimer: The live casino welcome bonus is only available in certain countries. You are the most important part of what LeoVegas is and as such, we want to provide you with lightning-fast customer support services to solve any problems you may have in an instant. Check out the in-depth FAQ pages where you will find a wealth of information. For a more personal touch, you can contact our dedicated customer support agents 24/7 via phone, email or live chat. For any gambling relate concerns, visit LeoSafePlay for an abundance of useful resources. 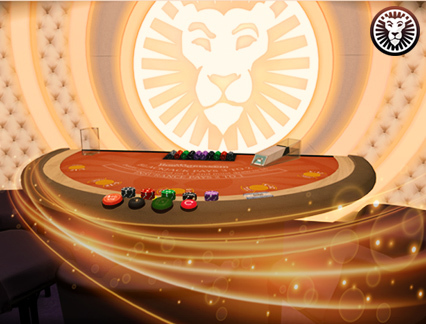 The crème de la crème of blackjack online comes in the form of our exclusive Chambre Séparée tables. These completely bespoke tables can only be found at LeoVegas and have been specifically designed with the aim of offering you something unique and luxurious. Silent Blackjack and Celebrity Blackjack Party, for example, are two of the preferred picks found in this opulent environment. 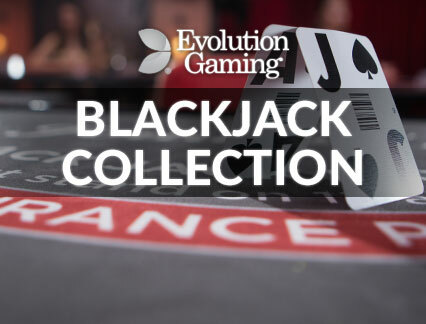 Discover live blackjack online that raises the bar with handpicked dealers and captivating campaigns only in the Chambre Séparée. Sit with up to six other players and study who sticks the blackjack rules, or who dares to break them. It’s all for one and one hand for all in Common Draw while Blackjack Party is as much about the chatter as it is about cards. There’s so much to choose from! If you prefer more rounds for your time, you can take advantage of the fast play tables for action-packed blackjack online. Or, if you prefer other games, you can check out live roulette tables. You can even practice on some RNG table games before you try the live versions. Do you enjoy to play the classic version of blackjack? Fancy you! This age-old game is pretty perfect the way it is, which is exactly why you’ll find a massive selection of the different variants of the game you know and love. Find your favourite of these among the impressive selection. Sure, the game is pretty perfect but who doesn’t love a modern twist to an old favourite? At LeoVegas you can play on a variety of blackjack tables that add something different to the game, such as Sports Blackjack. Learn to love the game again in a whole new way!